Happy Friday! Today, take a moment and reflect over your life. Then, think about your personal goals that you have created for yourself. Are they challenging enough? Have you met some of your goals? Are you losing weight and keeping it off? If not, what are your road blocks? It's important to trust yourself throughout the weight loss process. Whether you're having great process or having challenges along the way, keep your head up, analyze your goals, try again and trust yourself. Great way to approach this journey of healthy living. 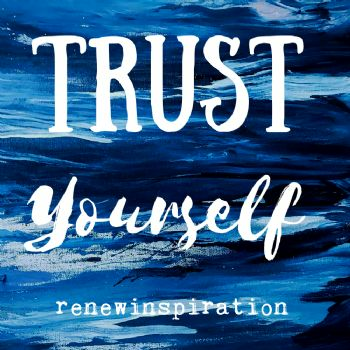 "Trust yourself". Sometimes that is SO hard to do! I believe in myself. Just for today I will do the best I can.